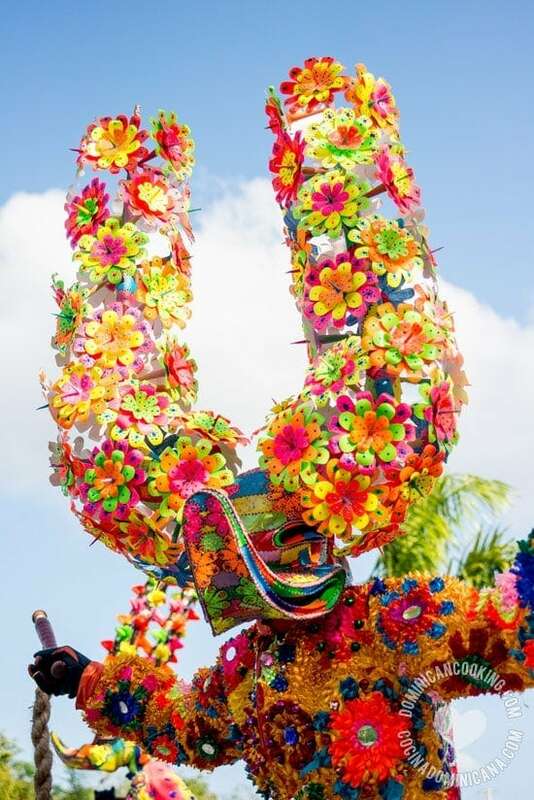 Dominican Carnival (in Puntacana) - Pictures and Videos. Every year right before Lent, Dominicans celebrate our centuries-old carnival, a Catholic tradition that survives from the time of the colony, and that has acquired here the same flavors and influences as our cuisine. These are pictures I took over several years at the Puntacana carnival. While this parade is not as large as the one in Santo Domingo, or as popular as the one in La Vega, its compact size means that we get to see the best troupes in the carnival, plus local participants and the kids and teachers from our school. From Seybo’s papeluses, to Montecristi’s toros, and of course Diablos Cojuelos, the traditional troupes from San Francisco, Santiago, and La Vega. Every year some international troupes join the parade from other neighboring Caribbean nations. So far I’ve seen participants from Curacao, Haiti, and Puerto Rico — though there are probably more. If you have the chance, do come to see the parade, and party with us, it’s something you’ll always remember.